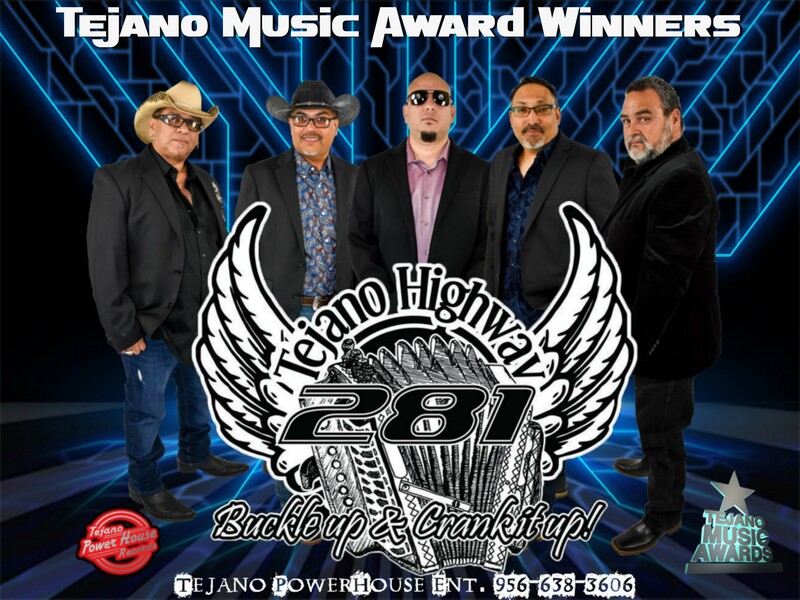 Tejano Highway 281 has reached the top of the charts with their singles; Extrano, Buckle up & Crank it up! (Conjunto Jam), Un Remedio, No Me Vuelco A Enamorar, Sabrosura Medley, Buckle up & Crank it up! #2, Enamorate (Ranchera), La Primavera, Subele A La Radio, 281 Cumbiambo Jam, OEO, Me Haces Falta, Te Amo Como Me Amas, Amores, and their latest singles Me Voy, Mirame A Los Ojos, and Aguita de Melon. 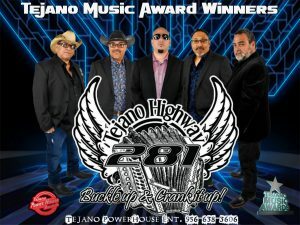 Originally from the Rio Grande Valley, Texas, each member has well over 20 years of experience, ranging from Tejano, Conjunto, Top 40, Texas Country, and Rock. They have created a unique style of Tejano/Conjunto music. Having played and recorded with several big named bands in La Onda Tejano, Chris Rodriguez, with the support of his friends and fellow band mates, has found the right chemistry to produce Tejano/Conjunto’s next biggest musical act.